This is the preview of the up and coming Tile X match 3 game,coming to Android and iOS. 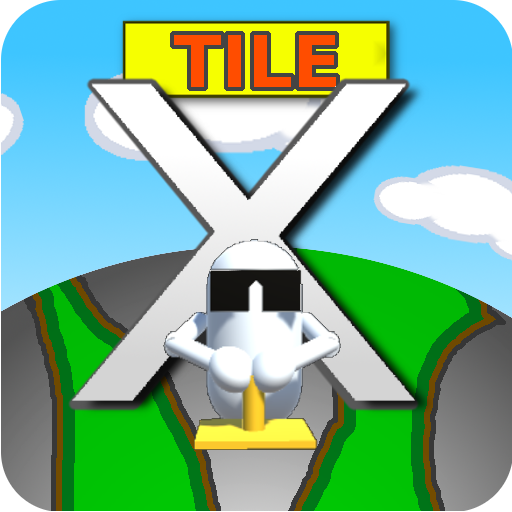 - Test your skills in one of thetoughest puzzle games around - Requires quick thinking, quickreactions and future thinking - Compete against other Tile Xplayers globallyCan you find the secrets of the 'X' and ControllerDude?All will be revealed in the up and coming Tile X match 3challenge. Help Bouncy find all the food and avoid the cacti.This is a previewof the first greenhouse but many greenhouses will be included on aregular basis. See if you can beat them all! (Please note that thisis only a preview of the unfinished first and second levels. Thefinal version will include many levels, characters and onlinemultiplayer area in the 'mainland'. Dominate the garden as you help bouncy become the biggest tomatoaround!Smash, bash, shoot and squash other tomatoes that get inyour way as you fight to become the biggest tomato. Dive straightinto the online multiplayer action with 'quick play'.Fun game, easyto pick up, play with friends! Test your skills and see if you canbeat the crowd.Multiplayer action - invite your friends and battleit out to see who will rule supreme!Bouncy's Rampage - Go on aRAMPAGE! Chambo is stuck in New Zealand. Help him escape back to England bybouncing on the balloons.Test your skills! Very challenging gameplay. - Tap the screen to build up speed and stop at the right timebefore the end of the pier to launch Chambo into the air! - Thentap the screen with crucial timing to make Chambo hit the balloonsbelow and continue his journey home.....Can you get all the wayback to England? Speed Run is a test of reflexes and skill.Purchase this Betaversion now for a discounted price and gain access to all futureversions... including the final build. Offer available for alimited time only!WATCH OUT FOR OUR WEEKLY UPDATES OF FEATURES,LEVELS AND MORE!